Refresh and renew your skin with SkinCeuticals Purifying Cleanser, a gently refining face wash that cleanses and exfoliates to leave skin feeling fresh, replenished and smooth. 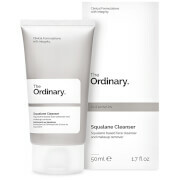 Formulated with a mild surfactant system and a potent 2% concentration comprising Glycolic Acid and Glycerin, the gently foaming cleanser works into skin, lifting away dirt and impurities while delicately sloughing away dead skin cells to leave dull, uneven complexions looking radiant and balanced. 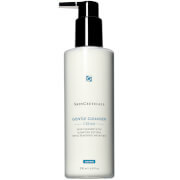 After use, the face feels purified, hydrated and soft. Suitable for dry, normal, oily or combination skin. Free from parabens, sulfates, soap, fragrance, dye and alcohol. Holy grail is thrown around a lot but this cleanser happens to be mine. I have combination skin that dries out easily and breaks out once it dries out. I have gone round the bend trying for that happy medium and this is the only cleanser that is it. It cleans while hydrating but doesn’t leave me tight or oily. It’s my unicorn 🦄 the o my thing it won’t tackle is waterproof make up, for thta I keep bioderma on hand per wash. Worth every expensive cent.